So in our last entry we talked about how we've stuck our noses into the world of Kickstarter, and the projects we've chosen to back. As a follow on from that it's our utmost pleasure to bring you a review of one of those projects: WarFields, a card game by Chris Green of Menaveth Games. Now before we go on we must stress that this is a work in progress. 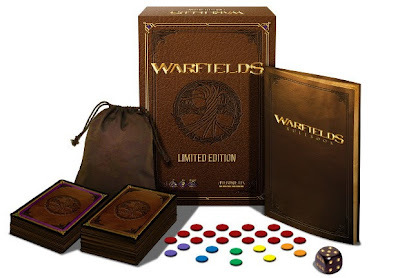 As a backer of WarFields we've been presented with a print & play copy of the game, which means that the final, polished product may be different from that described in this article. The artwork will change, some mechanics may change, the deck breakdown may change etc. That said, there's certainly enough here to bring our readers an in-progress review of the game and a look over the mechanics, so let's press on and do just that! WarFields is a strategic card game for 2 players, in which both sides must gather resources to build their army, and push forward to vanquish the opponent's king. Both players draw their cards from a communal Draw Deck, which consists of 90 cards of two basic types. First of all there are the Character cards, which make up the bulk of the Draw Deck. These are the troops with which the players will wage their wars, and the workers which will gather the resources required for this endeavour. You'll notice various stats and symbols on these cards, and we'll do a detailed breakdown further down the page. The other card type is the Effect card. These allow players to take various actions on the battlefield, such as boosting the defence of a Character, drawing extra cards from the Draw Deck, re-rolling dice, or even stealing resources from an opponent. Separate from the Draw Deck is the 54-card Gold Deck, which is also communal. Gold cards come in denominations of 1-3, and are the driving force behind WarFields. Whether you want to add another Character to your army, play an Effect card or make an attack, you'll need Gold to make it happen. Now to have a look at the card breakdown, taking this Archer as an example. In the top-left corner there are two numbers, a large number (4 in this case) and a smaller one (2). The large number is the Gold cost required to bring this Character into play, whereas the smaller number is it's selling value. Each turn a player may sell one card, and will draw cards from the Gold Deck equal to the selling value. 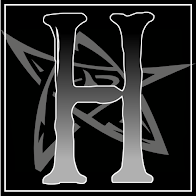 The symbol in the top-right corner (a little unclear in this photo) is the Character type, of which there are three; Human, Beast, and Undead. 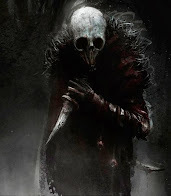 Humans can be played straight off the bat, but Beasts and Undead need special Characters to bring them into play; the Summoner and Necromancer respectively. The large number on the left is the Character's defence value, and the number on the right is it's health. Whenever a character is struck by an enemy it takes the damage off its defence first of all, and once the defence is gone it starts to lose health. At the end of each turn, each character's defence is fully restored, but any damage done to its health remains. This just leaves the Characters attacks/abilities at the bottom of the card, along with their damage and gold costs. Typically the more gold a player spends, the more damage they'll do! So it seems like a very basic mechanic, right? Players gather Gold, summon Characters, and then start hitting eachother. Well, not quite. WarFields has a very interesting battle mechanic, and it's this very thing which prompted Games & Tea to throw their lot and and try to get this game completed. The battlefield in WarFields is divided into six rows, with each player having a Kingdom Field (back row), Ranged Field (centre row) and Melee Field (front row). Each turn, Characters can advance one row, and then make their attacks. Melee attackers can only attack the row in front of them, and ranged attackers can attack up to 2 rows in front. This means that players don't just have two opposing lines of Characters relentlessly pummelling away at eachother, but instead they have to build a structured army, and actually advance it into enemy territory in order to accomplish their goal. And what is their goal, you ask? Each player starts with three cards in their army; their King, a Knight, and a Worker. This means everyone starts on a level footing, with one soldier and one resource gatherer. Let's go through a turn of WarFields to explain the mechanics in more detail, and then we'll talk about what we thought of the game. At the very beginning of the game each player draws 9 cards from the Draw Deck, and then place 2 of them into the discard pile. This may seem a bit strange, but on closer inspection it's actually a nice way to begin the game. A simple draw of 7 cards each would put both players at the whim of fate, but that slight element of customising their opening hands allows a tactical element to creep in very early on. Once this setup is complete and a die has been rolled to determine the first player, the game begins. Each turn consists of four stages, starting with the Currency Stage. The player draws 2 cards from the Draw Deck to add to their hand, and then add one Gold Card to their gold pile for each Worker they control. If the player wishes to add more gold to their pile they can sell one card from their hand as well. The next stage is the Build Stage. The player can spend their gold to play Characters from their hand, but these Characters must enter the battlefield in the Kingdom Field. Once the Build Stage is over, the Movement Stage begins. Any character can move forwards or backwards one Field in the Movement Stage, as long as that Field isn't occupied by an enemy. The attacking Knight is going to use his Sword Slash ability, with an attack value of 3. The attacking player then rolls a die to see how effective this attack is. On a roll of 1 or 2, the attack gets -1, on a 3 or 4 it hits at face value, and on 5 or 6 it gets +1. On this occasion the player rolls a 5, making the Sword Slash deal 4 damage instead of 3. The Arachnid has 2 defence, which is obliterated, and so takes 2 damage to its health. This gives any other attackers a good chance to finish the Arachnid off, but if none do, then at the end of the turn its defence returns to 4, but its health will remain at 2. The game continues turn-by-turn until one player has pushed ahead far enough to defeat the opposing King, and then they are declared the victor! There are further rules which we haven't gone into, else this review would probably double in length! There are limitations to the uses of some cards, various Character effect such as poison, special rules for bringing out Beast and Undead creature types... we could go on, but we think we've gone into enough detail to give you a decent idea of how WarFields works. So what do we make of it overall? To start with, the communal Draw Deck is a very nice idea. Strategic card games often work around building your own decks, and so games are usually won or lost before the first card is even drawn. With a communal deck there's no player advantage, meaning that victory boils down to a mix of playing skill and luck of the draw. Another nice touch with the Draw Deck is that it doesn't get replenished, once it's entirely been discarded then it's gone! This means that there will be no games of WarFields which end up as hours-long wars of attrition, and even the most evenly-matched game may well end up as one King slogging it out against his opposite number! The use of Gold Cards to fund everything in the game works well. It may make the opening turns feel a little slow if you're eager to run forwards and start bashing away at your opponent, but as the game presses on it forces players to think carefully about whether they want to go on the offensive during their turn, or sit back and bolster their defences with more Characters. The combat system is well thought out as well. Most good games contain a random element to them to prevent them from becoming too predictable, but without detracting from the tactical element altogether; Puppet Wars has the Fate Deck which can be counted, X-Wing has the combat dice which can be Focused, and WarFields has a D6 which simply modifies the attacker's base-value. This allows players to try and play the odds when pitching their Characters up against their opponents', but prevents an absolute certainty over the outcome. In terms of negative points, there aren't many to pick at which can't be put down to the fact that WarFields is still a work-in-progress. Some of the Effect cards in our experience seem to be a little bit overpowered for their low Gold cost. And sometimes games can be lost purely down to an unlucky draw, although the same can be said of any card-drawing game. All in all, we've thoroughly enjoyed playtesting WarFields here at Games & Tea. 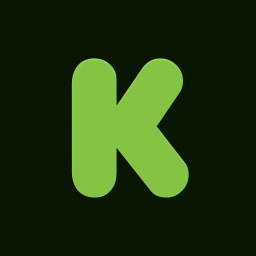 If you think it sounds interesting, then please visit its Kickstarter page here. You'll find a tutorial video to show you a detailed gameplay runthrough, and more importantly you can pledge your support to the project! It's providing us with a lot of fun over here, and we certainly hope to see a complete and published version in the future. A communal Draw Deck puts both players on a level footing from the outset, making WarFields a game of skill, rather than a game of "who spent the most money on their deck". The six-levelled battlefield adds a very enjoyable tactical depth, and one we haven't experienced in previous card games. The Gold system adds a need for further tactical thinking, often forcing players to choose between attacking and reinforcing each turn. The combat system contains the essential element of chance, without descending into the realms of becoming completely randomised. Being a game-in-progress, the balance of some cards feels a little bit off. That said, Menaveth have been taking feedback on board, and the game is in a constant state of refinement. Like all card-drawing games, a very unlucky draw can put a player out of the game quite conclusively. Whilst we do love the six-levelled battlefield, it does mean the WarFields requires more space to play than many other card games, which might prove a squeeze on smaller coffee tables. WarFields is a game for two players, so may not be suitable for large gaming nights with several players all wanting to play together. As mentioned above, WarFields is an exclusively 2 player game. An average playthrough of WarFields takes just over half an hour, although obviously this will stretch out if both sides are playing especially cautiously (or recklessly!). WarFields is a very enjoyable game, and one we're happy to keep going back to. With each playthrough, players will start to form better tactics to help them in future games, but with the Draw Deck included in the print & play version there will obviously reach a point where all of the Characters have been seen plenty of times and may start to feel a little stale. 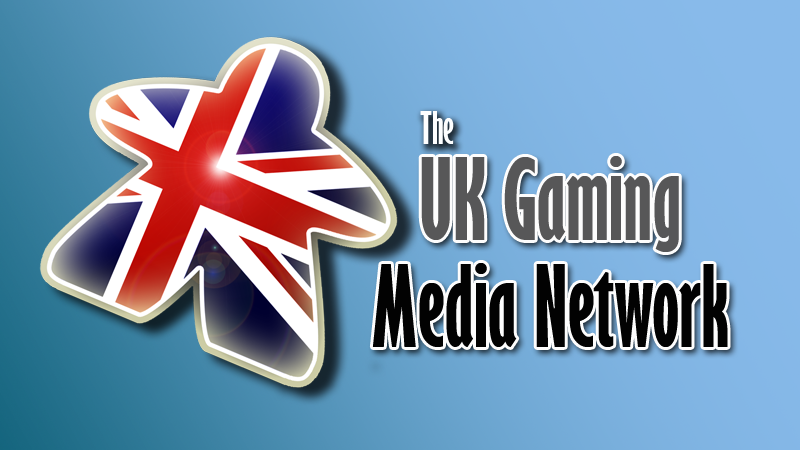 That said, if the project's full funding is reached and it does see the light of day then there are plans for expansions, which will allow customisation of the Draw Deck and allow the game to remain fresh for a long time. As we just mentioned, there are plans in the works for expansions to WarFields as long as the initial Kickstarter project is successful. These expansions will allow players to give distinct themes to their Draw Decks, which will in turn allow for very different playing experiences. Being a Kickstarter project you can pledge however much you want towards WarFields. $25 will secure you a copy upon release if you're in the US, Canada or China, and $39 will get you a copy in the rest of the world. Higher pledges will grant you extras such as t-shirts, cards designed after yourself etc. As we've said earlier, we'd really like to see this game hit the shelves, and so if you like the look of it we do encourage you to support it here. Tea consumed during this review: PG Tips with milk and 2 sweeteners. Brew rating: 9/10. KICKSTARTER UPDATE: Unfortunately WarFields didn't succeed in reaching its funding goal on this occasion, however Menaveth Games are planning a relaunch next year taking into account the feedback from their backers. If you liked the look of the game then keep an eye on the Kickstarter website and get in on the action when it comes back around!